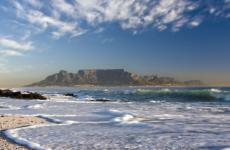 The famous mountain is located in Cape Town and is 1,086 meters high. Vertical sandstone rock walls are topped by a plateau. The mountain is one of the most popular highlights in Cape Town. There are more plant species on the mesa than in the whole of Great Britain. The mountain offers a beautiful view of the city center as well as the surrounding mountains and the ocean. You can also get here an interesting insight of the South African culture since it is a favorite picnic area for the locals. If you are not keen on walking you can also use a cable car that goes up every six minutes. A very interesting fact that is not well known is that Table Mountain was once completely undersea during pre-historic times as fossils of ancient shell fish can still be found on top of the mesa. 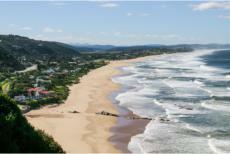 Garden Route – As Beautiful as Paradise! 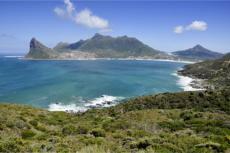 The Garden Route is a scenic stretch going from Mossel Bay to Paul Sauer Bridge and is about 300 kilometers long. Not only the route but the whole 750 kilometer long coast from Cape Town to Port Elisabeth offers numerous attractions to the visitors. Steep mountains, cliffs, white sand beaches, deep forests, semi deserts – these all are to be found in this narrow yet intriguing area with diverse vegetation. There are many coastal resorts that invite tourists to have a break and relax. In the sea you can also spot some penguins, whales and dolphins. 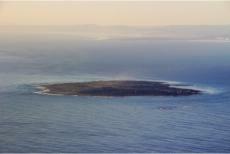 About 10 kilometers far from Cape Town you can find a former prison island – Robben Island. The most prominent prisoner here was of course Nelson Mandela, the later Nobel Prize winner and the First Black President of South Africa. Since he and many other political prisoners spent many years here in captivity it is one of the main tourism attractions in Cape Town. Today Robben Island is not only a United Nations Education, Science and Culture Organization (UNESCO) World Heritage Site but also a symbol of a free South Africa. Sterkfontein Caves, a world heritage site, are located approximately 50 kilometers northwest of Johannesburg and are worth visiting not only because of its stalagmites and stalactites but also for the historic discoveries that were made there – approximately 2.6 million year old bones of hominid man. This was in fact the missing link between a man and an ape. The caves are also known for another finding – approximately four million year old skeleton called the Little Foot. A visitor’s center has been newly built there with an exhibition portraying the evolution of mankind. Cape Winelands is the largest wine producing region in South Africa boasting some of the oldest wine estates and homesteads. Many travelers come here to get their first South African experience right here where they can choose among several award winning wines and restaurants. Most of the local farms and wineries offer wine tastings and cellar tours. The wine growing tradition in South Africa dates back to the 17th century. Since then the local wines reached fame all around the world and today the country produces one billion liters of wine annually. Every visit in Africa should include the experience of a safari with lions and elephants. This is exactly what you can expect in Kruger National Park, one of the largest game reserves on the African Continent. Don’t forget your camera and try to take a picture of the Big Five – leopard, elephant, buffalo, rhinoceros and lion. Besides that you can expect 130 species of mammals, 48 species of fish, 114 kinds of reptiles and 468 types of birds. So do not hesitate, take your camera and let the fun begin! Sun City is a popular luxury and casino resort nicknamed the “Las Vegas” of South Africa. It is located 150 kilometers northwest from Johannesburg in the immediate vicinity of the Pilanesberg National Park. Casinos, shows, luxurious hotels, artificial waterfalls, golf courses and sports facilities are exactly what you can expect there. It is actually the only place in northern South Africa where gambling is not prohibited. Phinda Game Reserve lies on the east coast 300 kilometers away from Durban. It is one of the most fascinating protected areas in the country. There are seven different ecosystems covering 140 square kilometers including palm savannah and mountain bush, rare sand forest and dense thornveld. The diversity lures geographers, botanists, and biologists and of course tourists from all over the world. There are many opportunities how to go on safari here – besides the traditional jeep however you can also opt for canoes or rafts. Opened in 2001, the Apartheid Museum in Johannesburg is probably the most impressive as well as the most visited museum in South Africa. 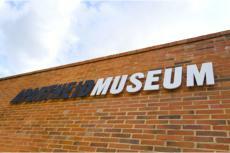 Portraying the history of segregation that started in 1948 and ended only in 1994 the museum offers an emotional and sometimes disturbing experience. The highlight of the museum is a reconstruction of an isolation cell bringing relief to the visitors that the times have already changed in South Africa. Above information brought to you by Tourism-Review.com, the tourism news provider for the travel trade community worldwide. Visit www.tourism-review.com. Nelson Rolihlahla Mandela was a good and faithful servant who has finished his “Long Walk to Freedom” and is now truly at rest. He represented ultimate courage and sacrifice as he went from an “Enemy of the State to the Head of State” in South Africa. His legacy of freedom will forever mean that one’s life can actually make a difference in the noble cause for peace and justice for his people despite the country’s long and brutally oppressive history of apartheid. See some of the moments captured in pictures by our VIP tourists. Do you have pictures you want to submit? Send them here! For up to date news, subscribe to Venue International Professionals, Inc. Learn about the latest tour destinations and tour packages in Africa.